L-R: Col. Gerardo Zamudio, Chief of Staff CRSAFP; MGen. Ronnie Evangelista, Commander of CRSAFP; Higino Dungo, Jr., Program Director of Operation Sagip; and Marcel Riñon, Deputy Director of Operation Sagip during the turn-over of donation. 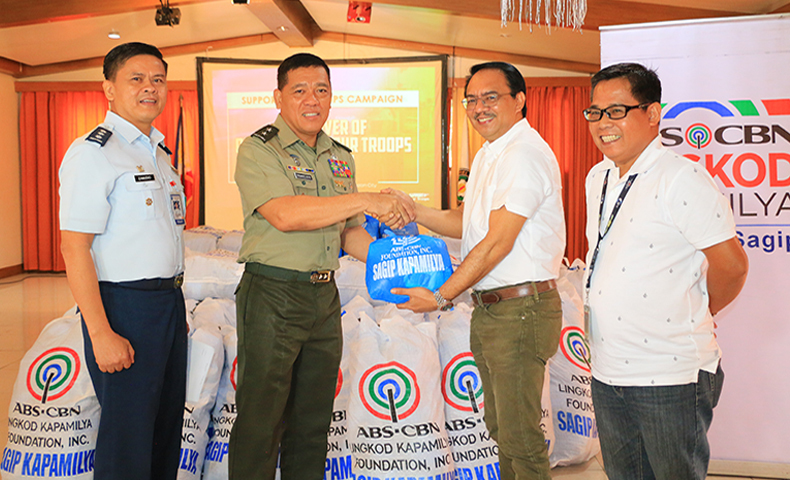 As the on-going conflict in Marawi continues, Operation Sagip of Lingkod Kapamilya donated 700 packs of hygiene kits to Armed Forces of the Philippines through its Civil Relations Service. The kits include a shirt, face towels, pairs of socks, toothpaste and toothbrushes, disposable shavers, alcohol spray, bath soaps and laundry soaps, pack of biscuits, a bottle of liniment, a pack of wipes vitamins, and a pair of knee or elbow or ankle support. These kits will be sent to the troops in Marawi. “The fact that you are extending your gesture in appreciation of what our soldiers are doing in Marawi, it means a lot to boost their morale,” said MGen. 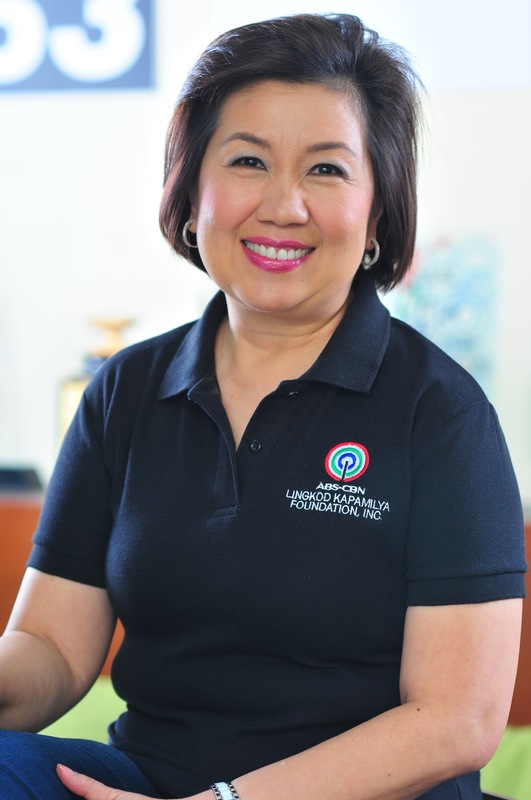 Ronnie Evangelista, the Commander of AFP’s Civil Relations Service. Operation Sagip is currently repacking 3,000 packs of hygiene kits as additional donation for the Marawi soldiers. The Marawi crisis started May 23 and President Rodrigo Duterte declared Martial Law in Mindanao at 10:00 that night.